The desert city of Neverset is in bloom. Not only are the grand gardens and menagerie coming into their fullness, but so too is Neverset's greatest son. 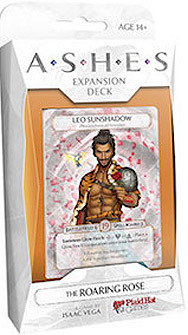 Leo Sunshadow parades forth as an envoy to the world. Calming minds, cooling anger, disarming the violent. Only when it is too late do Leo's enemies see his thorns.